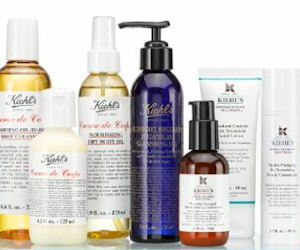 Free Kiehl’s Skincare Samples-Click here and fill out the form to request your free samples from Kiehl’s customer favorites line! Allow 4-6 weeks for delivery; available only while supplies last. Free My Burberry Blush Fragrance Sample-Click the “request your sample” link and fill in the form to order your free sample of My Burberry Blush. Available while supplies last. Free Subscription to HOLA Magazine– Click here and fill in the form to begin your free subscription to HOLA magazine, courtesy of RewardsGold. Available while supplies last. Free Sample of Derma E Purifying 2-in-1 Charcoal Mask- If you are one of the first 5000 to sign up here you will receive a sample of Derma E Purifying 2-in-1 Charcoal Mask! Offer available for a limited time! Free Creme of Nature Exotic Shine Hair Color Kits-Click through the Facebook page here to find details on this offer. This week during this promotion, the first 1400 folks who sign up each day will receive a free box of Creme of Nature Exotic Shine Hair Color Kits, so you’ve got a good chance of scoring one! Free Sample of Rachel Ray Dog or Cat Food-Click here and select your desired option. You will receive your sample in 8-10 weeks! Available for a limited time, while supplies last. Free 30 Day Trial of ABC Mouse Online- I have heard great things about this program! Click here to start your free 30 day trial. ABC Mouse is geared towards children age 2-8. Free TriNova Cooktop Cleaner- You can try TriNova Cooktop Cleaner for yourself, simply click here and fill out the form. TriNova asks that you share your honest feedback within in a week of trying your new product. For a limited time, while supplies last. Free TriNova Hardwood Floor Polish-If you would like to try TriNova Hardwood Floor Polish, this offer is for you. Sign up here to get your free polish. TriNova simply asks that you share your honest review of the product within a week of delivery. For a limited time, while supplies last. Free Subscription to EatingWell Magazine–Click here to begin your free subscription to EatingWell magazine, courtesy of freebizmag. For a limited time, while supplies last. Free Subscription to ElleDecor Magazine– Click here to begin your free subscription to ElleDecor magazine! This particular offer is for a limited time only, and you may be offered additional freebies upon filling out the form! Free Ghost Fragrance Sample- Click here and fill out the form to request your free sample of Ghost Fragrance. Be sure to confirm via email and then wait 2-3 weeks for your sample to arrive! Available for a limited time, while supplies last! Free Pencil Box at Home Depot Kids Workshop- On September 2nd from 9am-12pm, Home Depot is hosting a Kids’ Workshop where they will create a free pencil box. Click here for more details and to sign up! Free Cuties Diaper Sample–Click here to request your free diaper sample from Cuties! This offer is available for a limited time, while supplies last. Free Subscription to Marie Claire Magazine- Click here to begin your free subscription! This offer is available for a limited time, while supplies last. Free Subscription to Elle Magazine- Click here to begin your complimentary subscription to Elle magazine, courtesy of Mercury Magazines! Free Dunan Hines Perfect Size Cakes & Quaker Overnight Oats- If you have a Shaws or Star Market, these great coupons are for you! Click here to find the Shaws coupons or click here for Star Market! Free Fiber One Bars & Sweet Treats at Acme-There are some great coupons available right now for Acme shoppers! Click here to print your coupons. Free Recipes & More from Betty Crocker- Click here to sign up for the Betty Crocker Newsletter, delivering dozens of favorite recipes and baking tips right to your inbox! YETI Rambler 30 oz Stainless Steel Vacuum Insulated Tumbler with Lid Only $19.58!